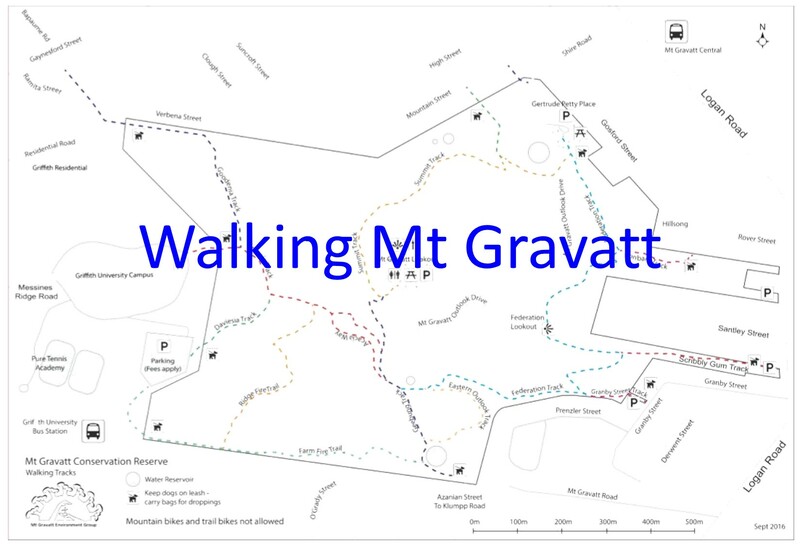 Susan Jones and I met with a specialist Council arborist today at Gertrude Petty Place Bushcare, to discuss action required to improve public safety for mountain neighbours in Gosford Street. Balancing public safety and wildlife habitat is always complex. Brisbane City Council’s arborist team have checked the health of trees along the property boundary and identified a number of removal. The team’s assessment was then matched against an independent arborist’s report for confirmation. Long term safety will be managed by replanting with native grasses and low ground covers. Offset planting to replace trees will be undertaken away from the boundary. Finding a Koala sleeping in a Queensland Blue Gum Eucalyptus tereticornis in another part of the Buscare site, highlights the importance of replacing canopy when trees are removed for public safety reason.